On Saturday at the Roxy the festival will premiere locally-made short films. Judging will be conducted by a series of People’s Choice awards, the Best Picture award, and a Runner-Up award. Local brewery Kilannan Brewing Co., has brewed a 100 mile beer specifically for the event. Tickets are available online at roxytheatre.ca or at the Roxy Box Office. We caught up with the festival’s organizer, Nelson Phillips, to learn more. Why did you start his film festival? We started this festival out of necessity, really. 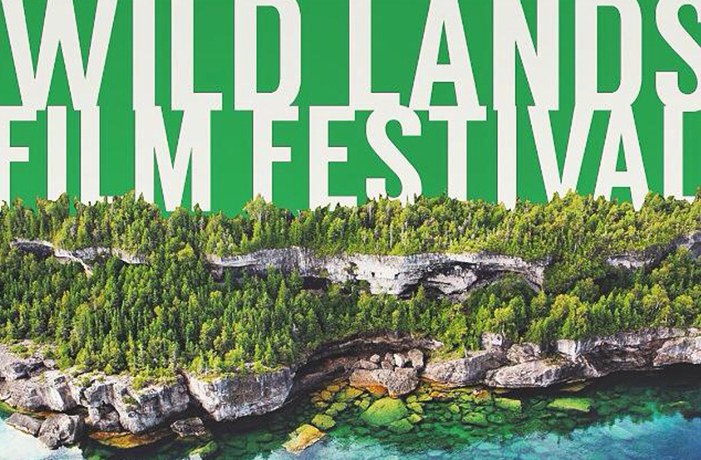 Owen Sound and Grey Bruce has such a distinguished arts community, including theatre, visual arts, photography, etc and film has never been represented aside from a youth festival that’s hosted by the public library, or maybe a few films from TIFF’s Film Circuit. Plus, it was really important for us to get involved in our community independently. We’re all pretty driven individuals, and we wanted to create something for ourselves that we could really call our own that would help progress a new culture in the area. We knew how much hidden talent was around, and decided that we’d start a dialogue with some other local filmmakers to see how interested they would be in submitting to a festival geared towards local productions, and the response was insane. We’ve received some of the craziest submissions, everything from narrative film, documentary, 16mm music videos, animation, etc. The community at large, whether they’re related to film or not, has been really supportive. We’ve partnered with a few groups, bartered production services for prize pack contents, started business relationships, etc. Anything to help us get to a place where we could host the best event possible. It’s already bigger than I thought it would ever be. Christopher McGruer and I started the idea with Paul Hartmann, and eventually Myke Dyer – the artistic director of the Fabulous Festival of Fringe Film in Durham. He jumped on board and has been monumental in helping us organize this thing. We were just flying by the seat of our pants before. We were meeting in coffee shops and guessing a lot before he came along. A big, big thing we’re really excited about is our collaboration with Kilannan Brewing Co. We approached Spencer with the idea to produce a beer that would be made available exclusively at the festival, for the festival – made with ingredients as local as humanly possible all within 100km of OS. Hops come from Nick out at Bighead, rye malt from Fergus, water from Georgian Bay. Spencer loved the idea and came on board with a simple handshake agreement. And Geoff Pevere, noted Canadian film critic, is MC’ing the festival. He was named the first program coordinator of the Toronto International Film Festival’s Perspective Canada program, which introduced the work of Atom Egoyan, Bruce McDonald and Guy Maddin, among others. Pretty stoked to have him on board.